Looking to get ready for your next winter hockey season with a unique hockey inspired weekend away? We have designed this retreat as the perfect mix of hockey training, hockey tournament-style play and women's weekend away, all in a unique summer camp setting (with fun camp activities). Get Back to Hockey, Get Back to Camp, Get Back to Fun! Our goal is to get you ready for your winter hockey season while at the same time making sure you reconnect with your love of the outdoors and your camp spirit. You'll have a chance to meet, mingle and be "sporty" with women from all over Ontario – women just like you who love the sport of hockey but also want the opportunity to get away for a few days, breathe in the fresh northern air and enjoy an active weekend. The retreat will be limited to 44 participants (40 players + 4 goalies), with small hockey team sizes (10 players + 1 goalie) and camp activity classes sizes, offering you your own intimate hockey and camp experience. NOTE: No team registrations, only individual. Individual participants will all be evenly drafted on Friday Night onto one of four teams to ensure friendly competition during scrimmage games. Women who currently play 5 on 5 hockey (i.e shinny, scrimmage, women's league, mixed league, tournament team). 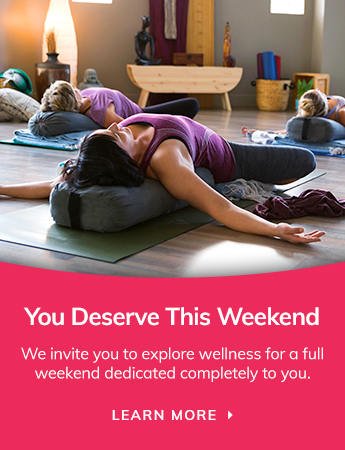 Leave your wallet at home this weekend as you are treated to an all-inclusive retreat experience, where all you have to take care of is yourself! We've got your camp programming covered, ready for you to relax and experience something new. We've got the cooking taken care of as you experience 6 exceptional meals, suited to all dietary needs. We've got your entertainment covered as you enjoy an exceptional Keynote speaker after lunch, some cocktails before dinner, evening entertainment and campfire. Off-ice 'hockey fundamentals' session (if activity option chosen). Program is focused on skill development and friendly competition, helping to refine your individual abilities/skills and knowledge of the game. On-ice program will take place at South River/Machar Arena, 10 minute drive from Hockey Opportunity Camp (retreat location). We've selected our hockey-inspired keynote speaker carefully to ensure they inspire guests beyond the weekend. We offer guests a choice of 3 activity time slots. You will be able to choose from a list of nine (9) unique on-property activities. All at the Perfect Ontario Camp Location – Bunkbeds included! Having the lake, beach and wooded forest in your backyard makes for an incredible playground to host all our featured camp activities and programming. It's the summer camp experience at its best. Given the intimate number of participants, you can request your bunk mates and be assigned to your own cabin. Only $150 deposit required if registering prior to Aug. 1/19. After August 1st, full payment required.